Lemax Toasty Caroling B/O Table Accent depicts a delightful Christmas snow scene of carol singers keeping warm by firelight as they gather together to sing for the public. 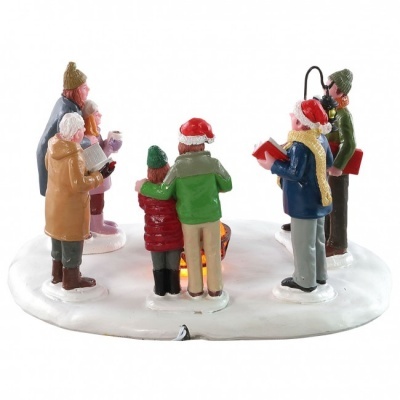 A delightful battery operated miniature scene from the collectable Lemax Village range, which will compliment any miniature Christmas village display. 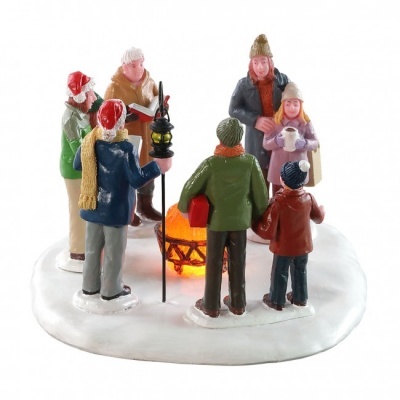 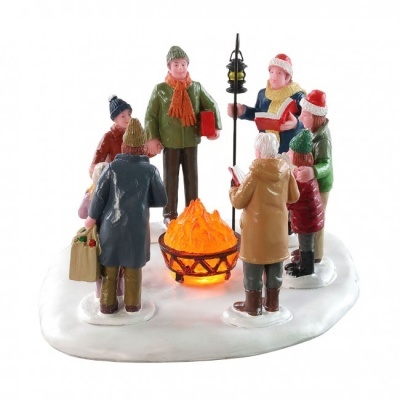 The open fire is illuminated and glows in a snowed base scene that includes multiple polyresin figurines. 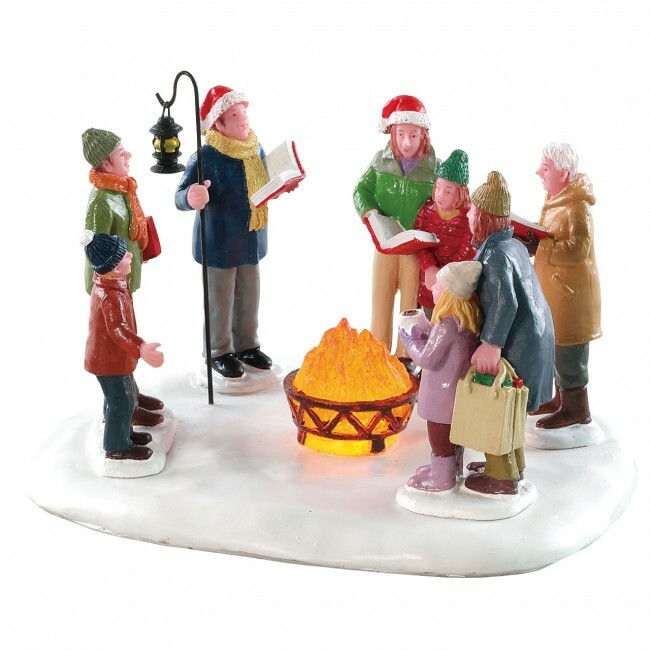 Battery operated as standard, powered by an internal battery unit (AC mains adaptable), the Toasty Caroling table accent joined the Lemax Village collection in 2018.